Options trades can cost $6.95, plus $0.75 per contract. 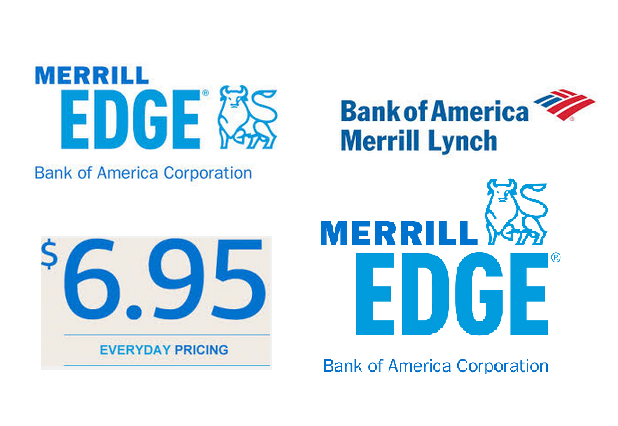 Merrill Edge offers the lowest rates compared to other full-service brokers such as TD Ameritrade, Fidelity, Charles Schwab, ETRADE, and Scottrade. Qualify for up to 100 $0 online equity and ETF trades per calendar month if you are enrolled in the Preferred Rewards Platinum Honors tier, see Merrill Edge Website. Merrill Edge offers a wide range of mutual fund investment choices. In total, investors have more than 12,000 mutual funds from which they can choose. There are about 5,100 fund which have no load fee applied. There are 4,700 funds of which have no transaction fees. When applicable, Merrill Edge charges a transaction fee of $19.95 on no-load mutual funds. This fee is on average with those charged by other online brokers. Merrill Edge's online trading platform offers streaming quotes & charts, stop & independent investment research, account alerts, and retirement & savings calculators. In terms of charting, the company provides advanced options for traders. Furthermore, the broker develops and maintains a mobile app solution for iOS and Android operating systems. One of the more unique benefits offered by Merrill Edge is its integration with TurboTax. You can export your trading information using TurboTax. You will have access to professional tax services. This service can greatly ease the stress of completing taxes for your securities investments come tax season. There are ton of researches in the website. You can link your Bank of America account with your brokerage account. The fund transfer can be done easily among accounts. There is no support for advance orders.